This, ladies and gentlemen, is the Asus Republic of Gamers Mars. 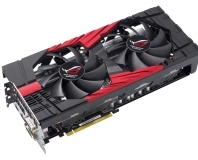 It’s the fastest and most expensive consumer graphics card in the world. 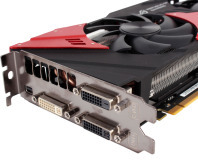 While you’d be forgiven for thinking that this card is a GeForce GTX 295 that’s been encased in a Challenger tank with a PCI-E connector slapped on it, your presumption would be incorrect. 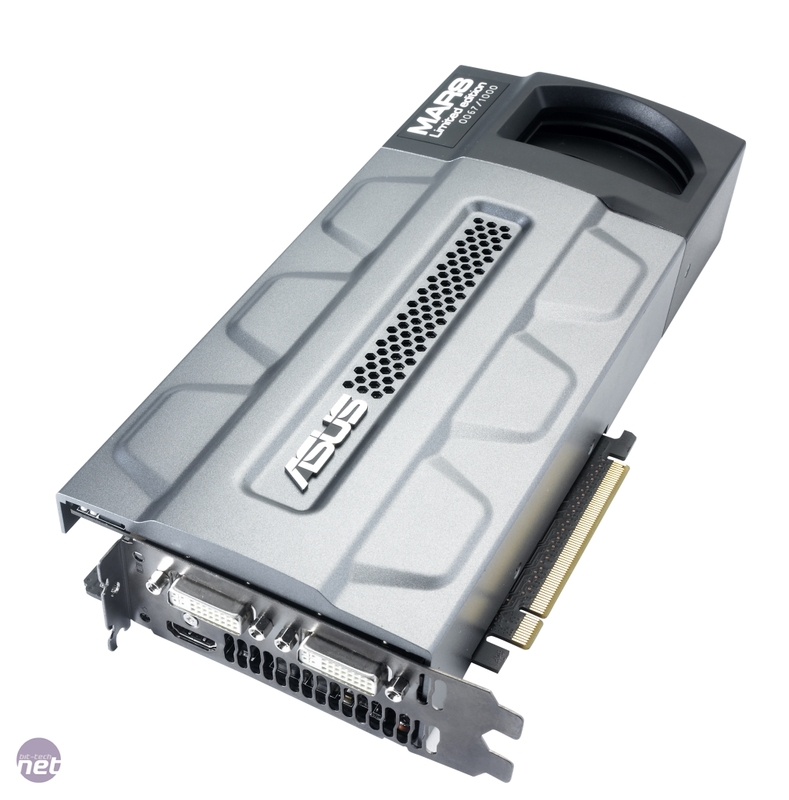 The Mars is actually two GeForce GTX 285s encased in a challenger tank with a PCI-E connector slapped on it. 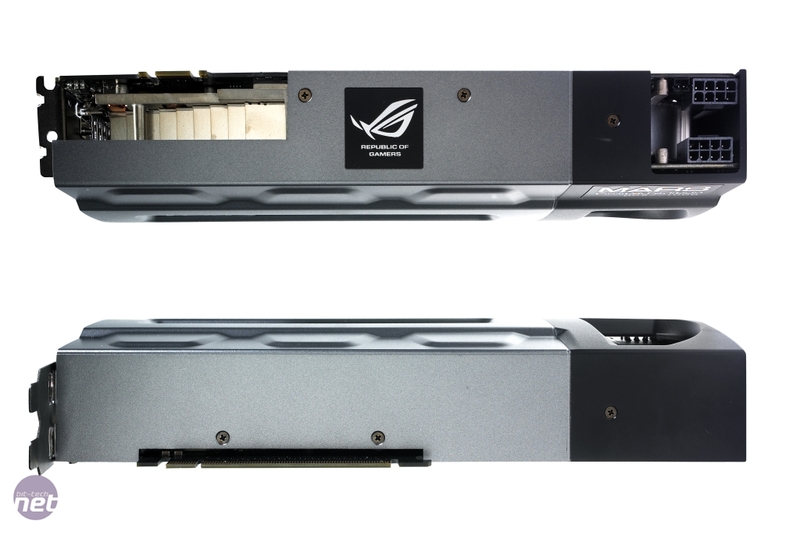 The GTX 295 is a duo of underclocked GeForce GTX 275’s, an approach that prevents the card from melting through your chassis - and eventually the foundation of your house - when you fire up a game. 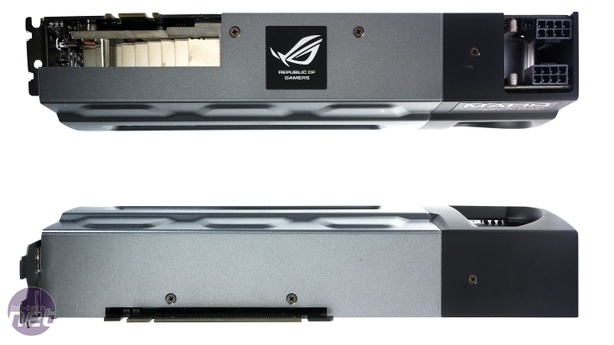 However, the epic cooler sandwiched between the pair of GTX 285s dissipates enough heat to make the close proximity of the two GPUs possible. Before looking at the cooler in detail, let’s take a look at the specs. The pair of GTX 285s run at stock speed. The cores are clocked at 648MHz, just 72MHz faster than those of a GTX 295. There’s a more impressive discrepancy in the shader clock though with the Mars boasting a frequency of 1.476GHz to the GTX 295’s 1.242GHz. The GDDR3 memory sees a similarly decent notch of improvement, with that of the Mars running at 1.242GHz (2.484GHz effective) compared with the 999MHz (1.998GHz effective) seen in the GTX 295. Memory quantity however, is a department in which the Mars is particularly well endowed, featuring a gargantuan 4GB of GDDR3. This is one of the reasons that the GTX 285s have been mapped onto oversized custom PCBs. 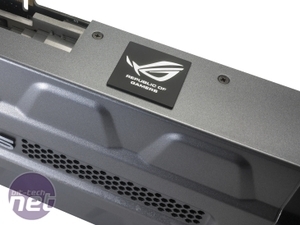 The Mars is just shy of an inch wider than a GTX 295, extra girth that the cooler takes full advantage of. The cooler is not only wider but also a good deal deeper than a reference card’s. The triple-slot monster measures 49mm to the GTX 295’s 36mm. Fortunately, the Mars isn’t any longer otherwise it might be hard to fit it into your chassis. Asus was kind enough to send us two cards, so not only have we tested how fast a single Mars is, but we've done a full set of SLI testing too. We feared the worst with the SLI testing, as not only were we going to have to deal with Quad SLI drivers, but Quad SLI drivers for GPUs that don't officially support Quad SLI. 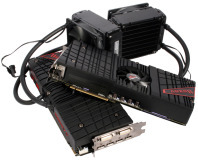 At present, the only card to support Quad SLI is the GTX 295, which uses a pair of underclocked GTX 275 GPUs. With the stock-speed GTX 285s in the two Mars cards we didn't have a lot of fun benching and re-benching games just to verify that the results we saw were accurate. Read on to see what we mean! 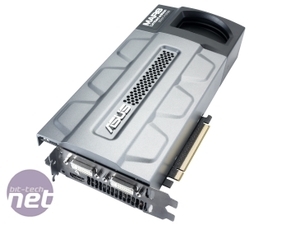 With two GTX 760 GPUs on one PCB, can the new MARS card outperform the GTX Titan and GTX 780 Ti? 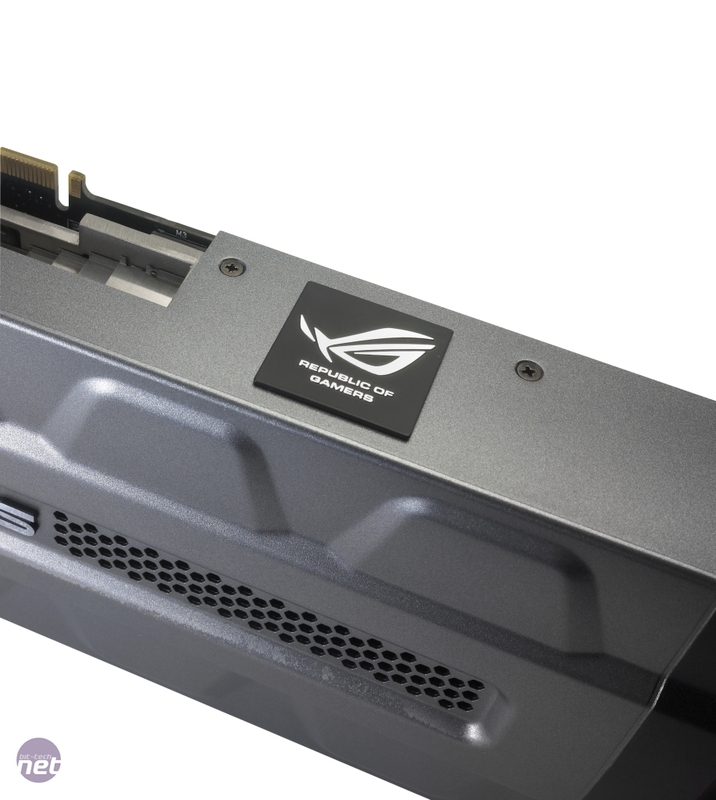 ASUS unleashes its £1,200 Ares II, the fastest card on the planet. And we've got two.